I've heard it said before that advertising is accepting of people from diverse and often unrelated backgrounds. That's because, for the most part, advertising is a fairly straightforward line of work that people can become proficient in with enough exposure. I would say that this is especially the case with digital advertising/marketing. While you can learn advertising and marketing fundamentals in college, digital expertise is added knowledge that isn't always gathered or accessible through formal education/curriculum. I started learning about digital marketing through my part-time jobs in college. I was a Human Development and Family Studies major, but had always taken a liking to marketing and found that I had a natural knack for the occupation. It was during that time that I learned about social media marketing when it was becoming a thing, a little bit of display, blogging and what we now know today as "YouTubing". That's when my appetite for digital marketing really started to catch fire - especially considering the fact that I was already pretty tech savvy and intimate with a number of digital platforms that were making themselves available. To this day, I still find myself using the full range of this knowledge - and my specialization in certain areas continues to take root as I navigate my career. It sometimes surprises me how there are many people who have not had this kind of exposure to digital, but crave the knowledge and understanding of the work. So I thought I would start a blog series dedicated to introducing people to the various resources at their disposal and helping guide them to becoming a digital professional. I think this is a no-brainer. If you want to learn the ins and outs of digital advertising, then who better to learn from than one of the top online/tech companies in the world - Google. We know them as a go-to search engine, but they are honestly so much more than that at this point. If you're a marketer, then you already know about AdWords, Google's advertising platform that allows small and large business alike to promote their products, websites, etc. through a vast and diverse online network. Google makes over 1/4 of their revenue from this platform, so you know it's a big deal. AdWords Fundamentals - The basic principles around the different AdWords products and uses cases for each. AdWords Display Certification - Using messaging in the form of static and interactive ad types to advertise across the Google Display Network (GDN). AdWords Search Certification - How to leverage various tactics to advertise within Google search results. AdWords Video Certification - Best practices for using YouTube and the GDN to advertise and promote video content. AdWords Mobile Certification - Creating the optimal user experience on mobile and how to advertise within mobile applications. Google Shopping Certification - Taking advantage of proper inventory organization to advertise products across Google Search and Shopping. With the knowledge from all of the courses and exams, you will literally gain the ability to start acting as an independent digital consultant if you wanted to. Also, if you achieve all of these AdWords certifications and manage actual campaigns in this platforms with a total budget of at least $5,000, you can look into becoming a Google Partner. For anyone taking their first steps into professional digital work, I highly recommend starting with this education - it will give anyone a solid foundation to build upon through actual experience. 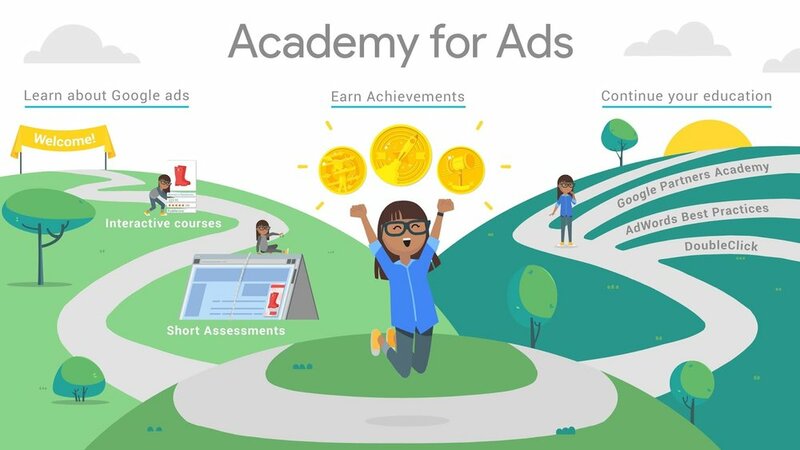 What probably inspired Google's Academy of Ads, Facebook Blueprint offers a similar education hub where users can take various e-courses and even get certified in specific competencies or specializations. Facebook is one of the other top online/tech companies - as over the years they have gone from simply offering a basic social platform, do developing an online advertising network with a variety of tools and channels to help businesses interact with consumers and promote/sell products. Learning more about the platforms - Facebook, Instagram and Messenger. Helping increase sales and conversions, both online and in-store. Targeting the right audience, managing ads and measuring performance. Driving campaign objectives, such as awareness, consideration and leads. Discovering advanced buying options and choosing the right ad formats. 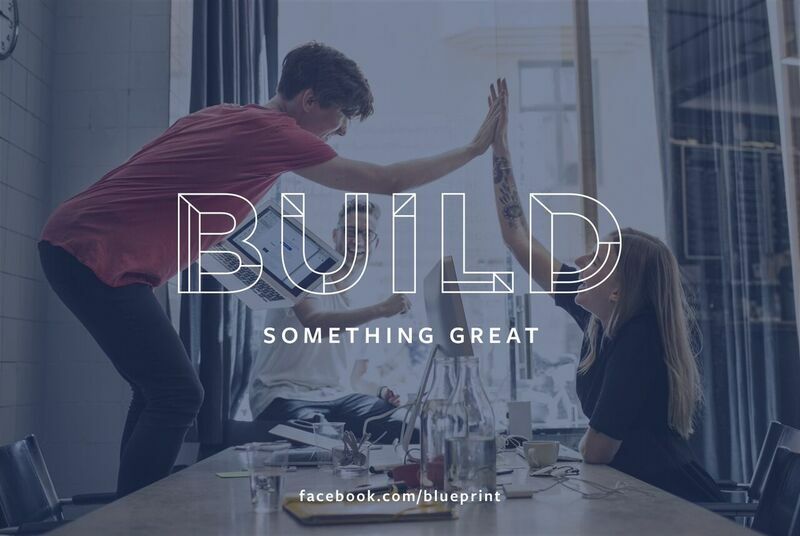 So let's say you're an overachiever and got all of your AdWords certifications, and went ahead and got certified in all available Facebook Blueprint competencies. You will have achieved understanding of a majority percentage of the digital advertising and marketing arena. Covering off on AdWords and Facebook alone could qualify you for some strong professional digital positions in agencies, or "client-side" working for actual brands directly. If you don't get the full scope of digital education there is to get, then I recommend getting educated in Google and Facebook at the very least. Brining you another academy, I would have to say that this is one of my favorite areas of online marketing - Inbound Marketing. This is something that I do not feel many people in media agencies are always aware of, seeing as how the concept and approaches are more focused around marketing principles versus typical advertising basics/tactics. While advertising is largely about outbound communications to promote the brand, inbound marketing is more so about leveraging ones owned channels and properties to continue engaging users and drawing them further into your business. This concept takes the form of email marketing, lead nurturing through tracking and tailored messaging, content marketing, and strong sales/messaging. Inbound Sales - Training that equips sales professionals with best practices and strategies to effectively identify prospects, manage acquisition and achieve conversion. Content & Email Marketing - Approaches to consistently develop and deploy messaging that provides value to customers and helps drive business objectives. Growth-Driven Design - Processes for marketers, designers and project managers on how to efficiently create content that promotes optimal user experiences. Sales/Marketing Software - Training on how to effectively set-up and manage advanced automation systems to message, nurture and convert users. The concept of inbound marketing had really started picking up momentum during the early 2010's, around the time when I was getting my feet wet in the digital space. Around that time, the idea of "content is king" was quickly being adopted, and we can see now that that is truly a standard as far digital business is concerned. Familiarizing yourself with these fundamentals will help instill a user-focused mindset, which will make your outbound marketing objectives even stronger. Tech-savviness and digital consciousness in setting-up an online property for yourself. Ability to present yourself and accomplishments in a differentiated manner compared to peers. Your personality and personal brand, conveyed by the elements and organization of your website. Squarespace - They're among the more popular website platforms and are very user friendly. They have come quite a way in terms of the sophistication in their website building capabilities and design templates options. I would say whether you have absolutely no experience in website management, or are a more experienced web builder (intermediate to advanced), Squarespace is a solid choice regardless. You can purchase and host your web domain through them, as well as host and manage multiple sites. There are also plenty of built in plug-ins, site security, e-commerce functionality, website analytics and features to help connect with other channels and platforms with ease. Wordpress - For those who have a very distinct vision for their website and want the full freedom to develop that vision, I would say that Wordpress if the best option for you. You do not have to be an expert web developer to use their software/platform, but it helps to be somewhat familiar with web dev basics. 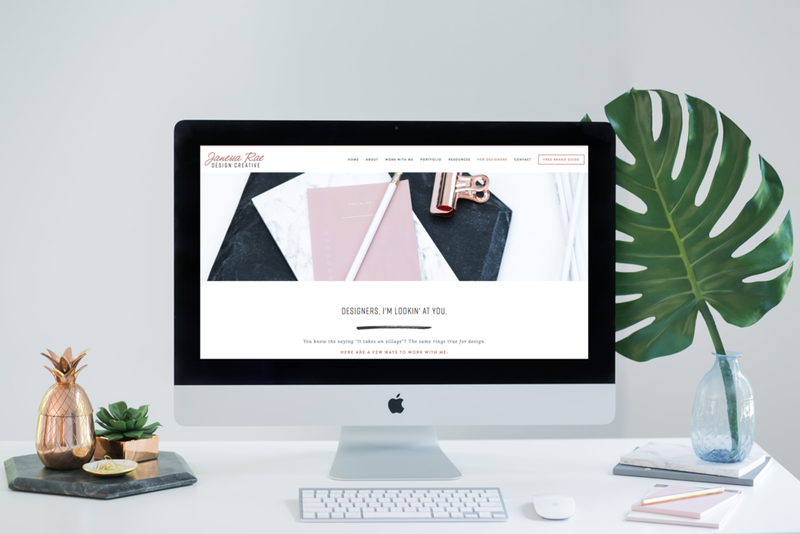 With them, you can customize just about anything on your website without being too limited by the constraints of a rigid template. There is also access to a thriving marketplace of plugins and custom web features developed by professional developers and programmers that people can tap into. You do have to go through a separate party to purchase a domain and host your website - BlueHost is most often the partner that people choose to accompany their Wordpress site. I think the best way to learn about these platforms more is to jump into them and get your hands dirty. If you have a friend who manages a website, as if you can watch them customize it. Or if your agency manages Client websites, see if you can work with someone to make a requested update. OR better yet, set-up a free trial and take a stab at messing around with a template of your own. I think you'll be amazed by how much you learn. So we've explored what can be referred to as the front-end of digital, but what about what goes on behind the scenes of the entire online space? That my friends, would be code. Snippets, strings and endless rows of code. From basic lines that designate how content should be organized on a webpage, to packages of code that spark a series of events after a user takes a specific action, code (and programming) is what facilitates our interactions with the Internet and other digitally-related things. HTML - the standard markup language for creating webpages. CSS - standing for cascading style sheets, describes how HTML elements are to be displayed. SQL - a standard language for accessing and manipulating databases. PHP - server side scripting language that is used to develop static websites, implement more dynamic dynamic web experiences. As I was learning about the other parts of digital marketing that we've discussed above, I also found myself curious about coding/programming since it had a direct impact on website design and development. One of my web dev coworkers introduced me to W3Schools - which is one of the best websites to learn about coding. They give very easy-to-understand tutorials for the various languages, and even give example areas where people can test out their knowledge and create things of their own. And . . . they offer certifications! Just another route that you can take to provide competency in a very core piece of the digital space. If you go through ALL of these resources, get yourself some certifications, create something of your own and apply all of your knowledge to a real business case, then you are well on your way to being a digital professional. That's what makes the digital marketing/advertising field so interesting in my opinion - the sky is literally the limit. There is so much that someone can learn and so much that someone can do with their knowledge, that a career path in digital can be entrepreneurial and highly fulfilling. Especially as the industry as whole is constantly evolving, it is a challenge to keep up with the developments and think ahead of there technology will go next. Even if you get a grasp of everything we've covered here - don't stop educating yourself and putting this knowledge to use. Keep setting up campaigns in AdWords and Facebook, keep updating your website with new plugins and templates, and keep developing unique experiences for your audiences across the internet. A true digital expert never stops and settles - they continue pushing the boundaries and discovering new ways to make an impact. And I believe you have what it takes to do just that.